Subject to approvals, SilkAir will offer three weekly flights on Monday, Thursday and Saturday to the two destinations on a circular routing. Flights from Singapore will make a stop in Vientiane and then continue to Luang Prabang, before heading back directly to Singapore. The airline has not stated whether it has fifth freedom rights to pick up passengers on the Vientiane-Laos sector, or whether passengers can stop in Vientiane and resume their journey to Luang Prabang on a subsequent SilkAir flight. It will have third and fourth freedom rights that will allow it to sell roundtrip flights to Vientiane and Luang Prabang. The addition of Vientiane and Luang Prabang to the SilkAir’s route network will increase its cover to 51 destinations in 14 countries, which now include: Australia, Cambodia, China, India, Indonesia, Laos, Malaysia, Maldives, Myanmar, Nepal, Philippines, Thailand, Vietnam and Singapore. The new services will be operated with SilkAir’s Airbus A320 aircraft, configured with business and economy class cabins. “Southeast Asia has always been an important market for us and with the start of flights to Vientiane and Luang Prabang, we will offer travellers connectivity to every country in Southeast Asia. We believe that this new service has great potential, as more travellers turn their interest to Southeast Asia and destinations such as Laos. This new service will also allow Laotians increased connectivity to the rest of the world via Singapore,” said SilkAir Chief Executive, Mr Leslie Thng. 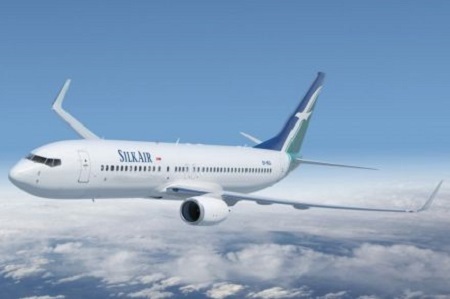 The new service will connect Laos with the joint Singapore Airlines – SilkAir network of over 100 cities worldwide via the Singapore hub. Flights will be available for booking on a progressive basis through the SilkAir website, call centres and travel agents in the coming weeks. SilkAir operates close to 400 weekly flights to 49 destinations in 13 countries.